Last night's dinner was an extravagant affair, to me at least. 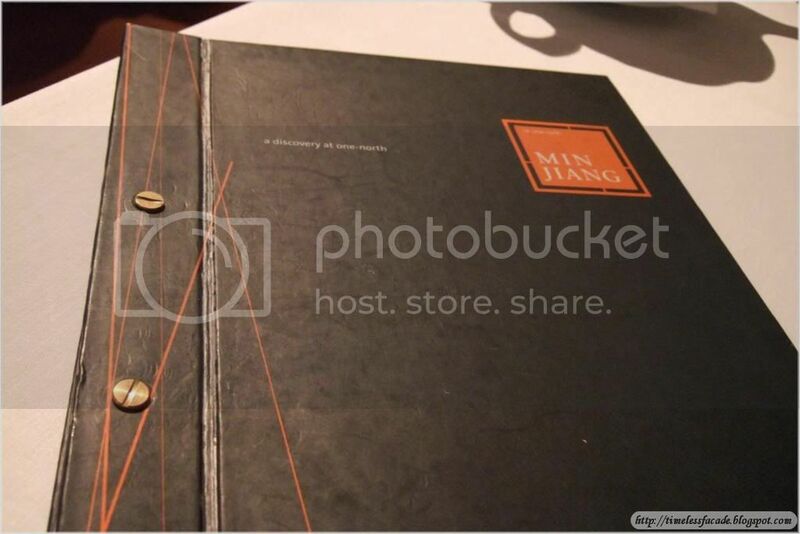 My gf and I paid a visit to the newly opened(a few months old) Min Jiang @ One North, a visit long overdue. 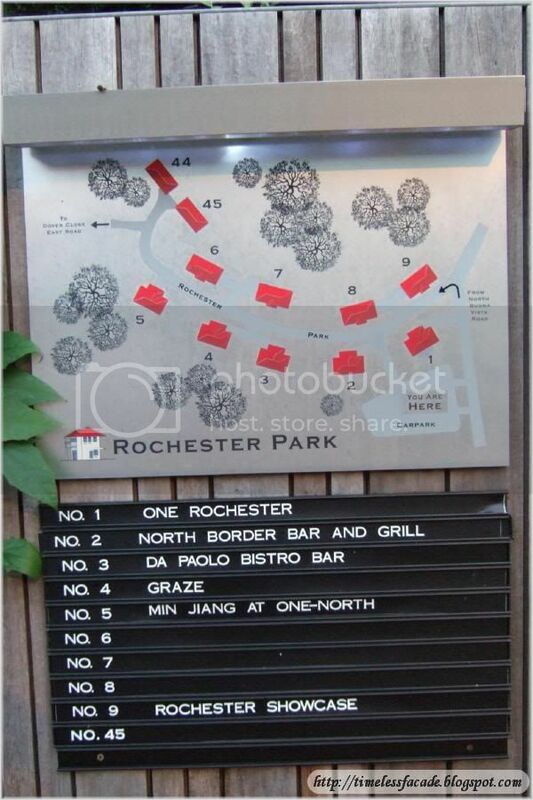 Nestled in the posh enclave of Rochester Park, Min Jiang is housed in a colonial bungalow at the end of Rochester Park. 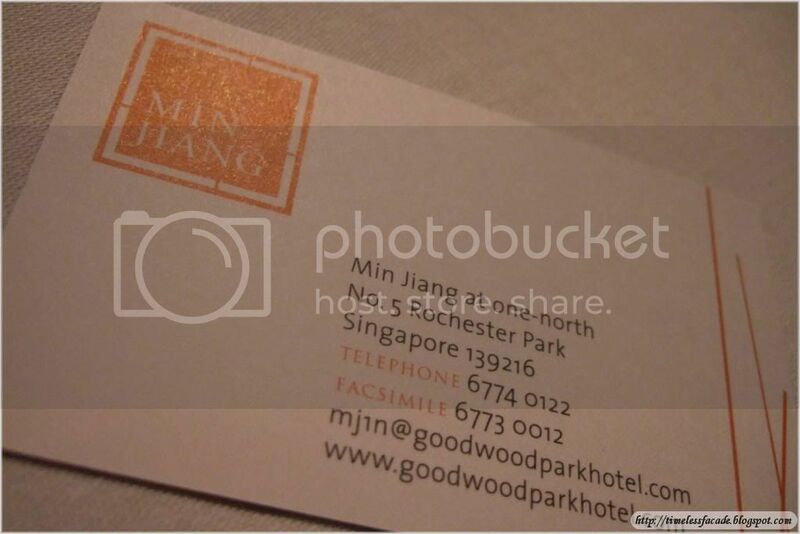 For those who didn't know, Min Jiang actually has 2 branches, with the main one situated at Goodwood Park Hotel. 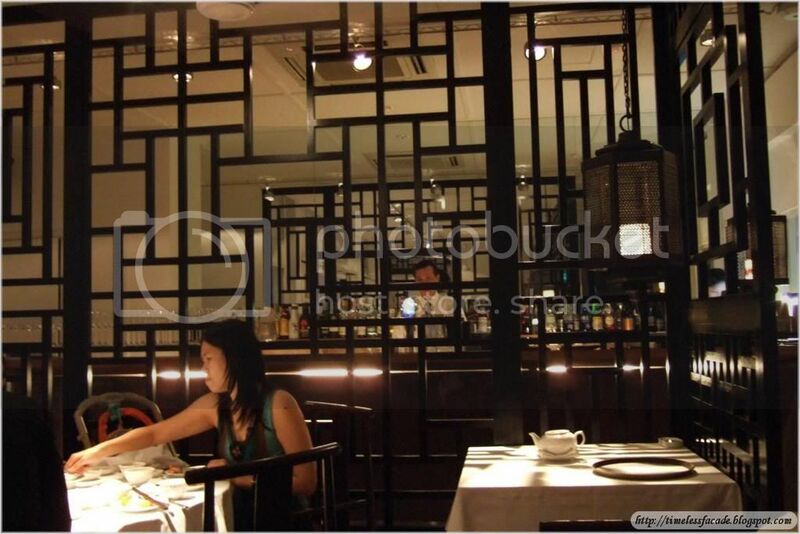 However, the main branch serves fine Cantonese cuisine, whereas the branch at Rochester specialises in Sichuan cuisine, with its Peking duck being the most noteworthy. 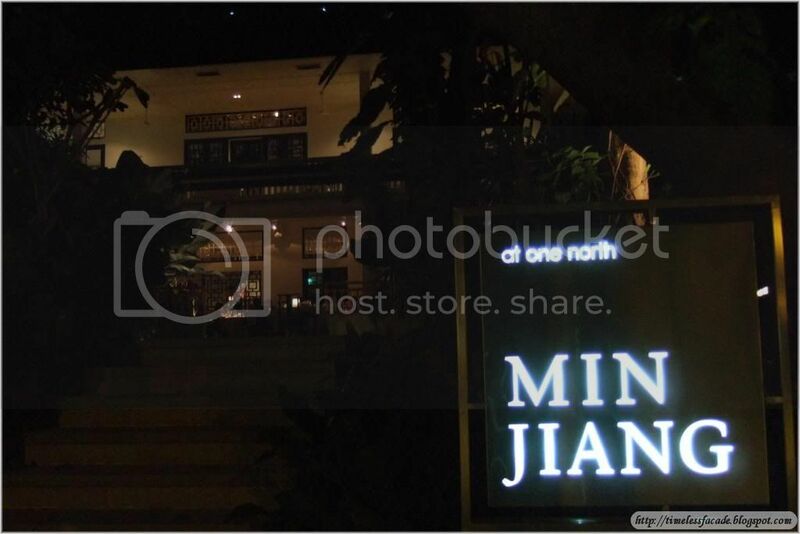 Opting for black chic over traditional red unlike most Chinese restaurants, Min Jiang @ One North oozes solemn appeal and pure sophistication. I had made a reservation for 1900hrs but we got there a little early and we were shown to our table in the tiny indoor area. (There was this nice big dining room on the 2nd floor but I believe its only for large groups)The interior replicated a nobleman's dining hall from the ancient China era. Now down to the food. We had half a Legendary Peking Duck(which I preordered the day before because I couldn't fathom waiting 45mins whilst the chef slow roasted my duck), the chef's Appetizer Platter, Spare Ribs in Lemon Grass Infused Honey Sauce, the famous Lobster Noodles, the famous Durian Pudding with Mango Spring Roll and Sichuan Pancake with Vanilla Ice Cream. 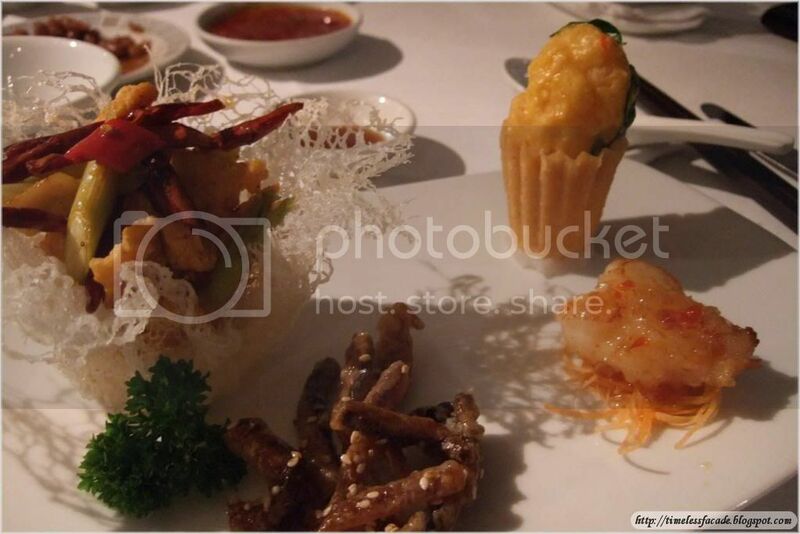 First up was the Chef's appetizer platter, consisting of Crispy Diced Chicken with Sichuan Peppercorn, Wok Tossed Lobster Medallion Crusted in Spicy Egg Yolk Crumb, Cripsy Eel coated with Vinegar Sauce and Sesame Seeds and Deep Fried Scallops stuffed with Minced Shrimps in Thai Sauce. The Crispy Diced Chicken was pretty normal and tasted a little like Twisties (Chicken Flavour). But to give it credit, it was nicely battered and fried. The Lobster Medallion was, if I may say, truly wonderful. 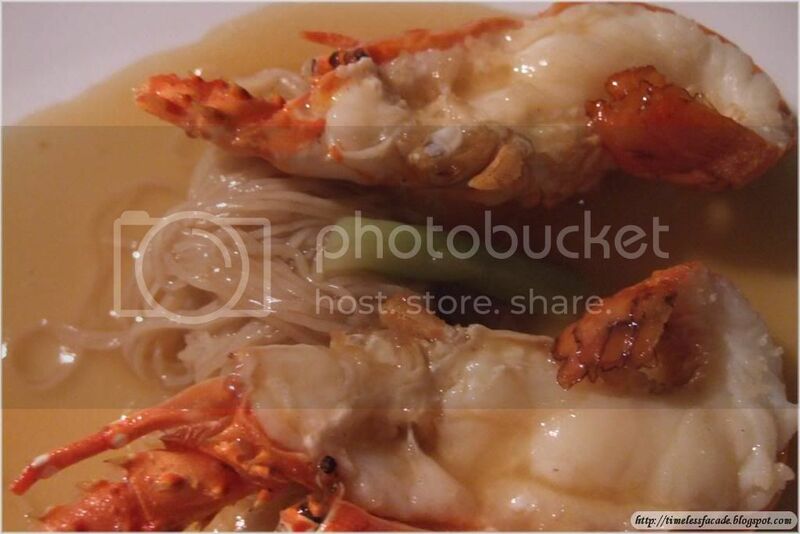 The egg yolk provided a slightly salty taste which blended well with the sweetness from the lobster. I would have liked more of this, but unfortunately its madly expensive! I've always shunned from eels, but this eel had me wanting for more. It was crunchy, a little sweet with no traces of that eel taste which I absolutely abhor. A very nice snack! The Deep Fried Scallops were nicely done, though they didn't seem deep fried to me. The minced shrimps were embedded within the scallop and I liked the whole package. Pity about the slightly overpowering Thai sauce though. Next up was of course the Peking Duck. I was terribly excited by this dish as I had been having cravings for it the last couple of weeks. 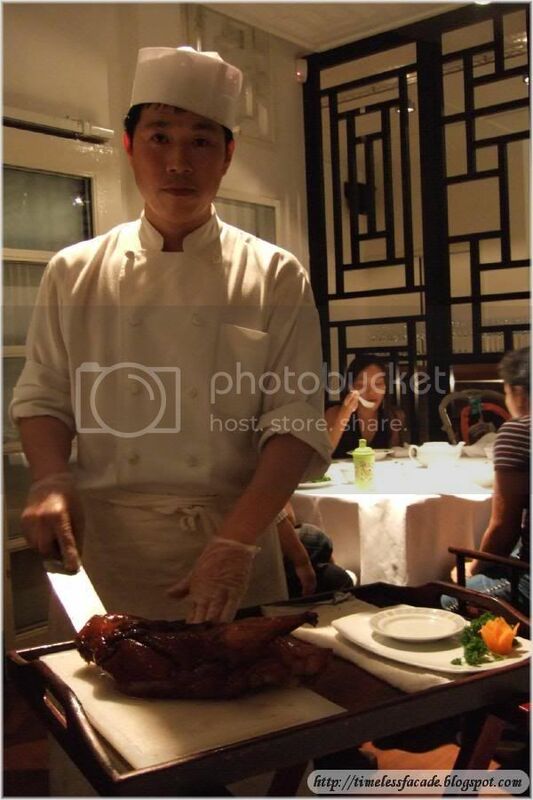 The chef personally carved the duck up for us and recommended that we tried it with sugar and then with sweet sauce, cucumber, sliced leek and radish and lastly, with garlic paste. All 3 combinations were so good that I don't know where to begin. 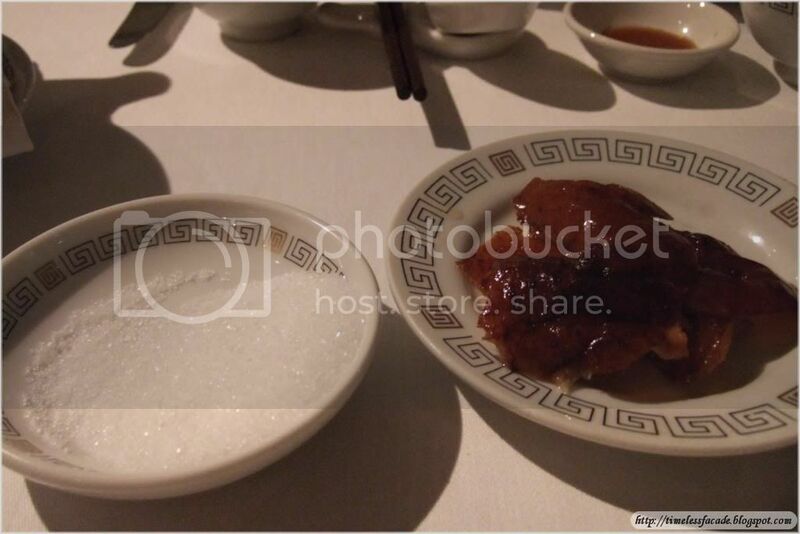 The crispy duck skin was carved from the neck and there were no fats whatsoever, leaving just the crackling skin which went extremely went with the sugar. 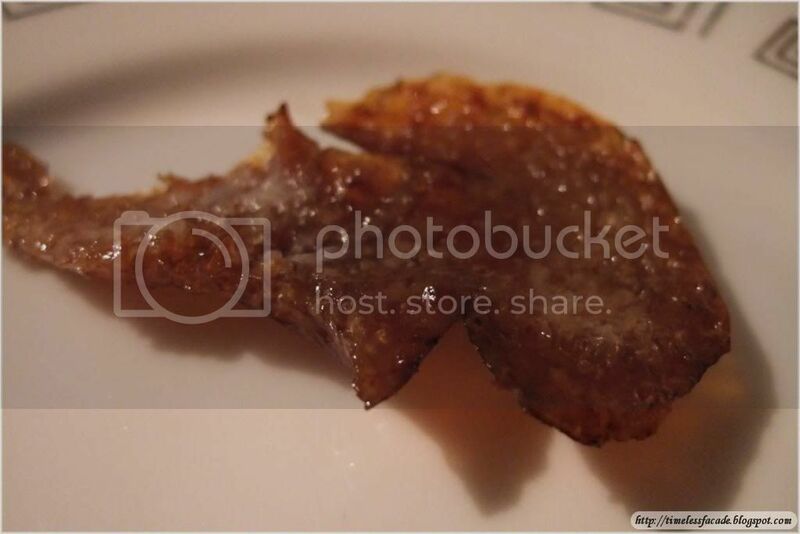 This is the first time I'm eating the skin with sugar and I must say its really good. The second option with the cucumber, sliced leek and radish was just as good, with the paper thin crepes wrapped around. 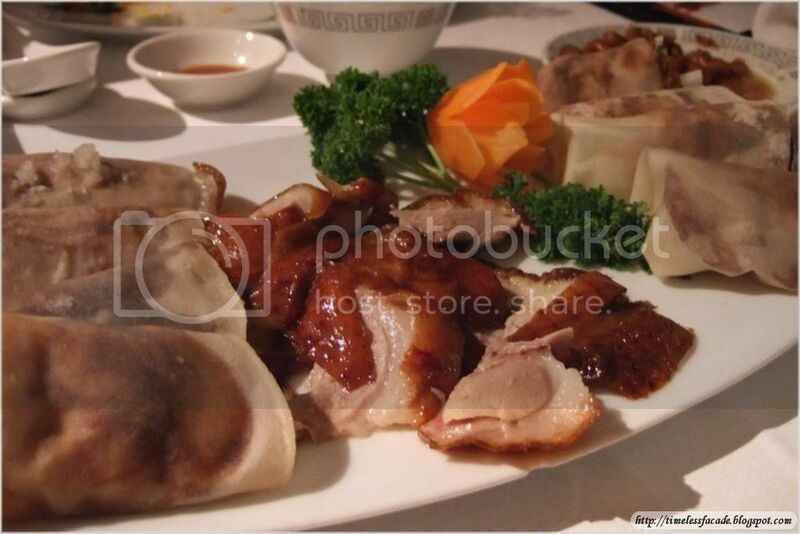 This time round, the skin had quite a substantial amount of meat attached to it, unlike the ducks at most places. 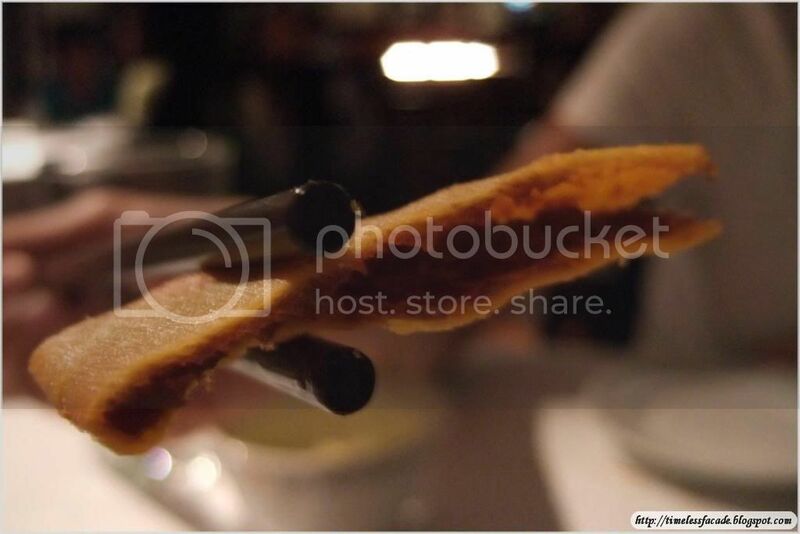 The third option was pretty appetising as well, with the mild garlic taste complementing with the crepe and the delicious duck. I honestly never knew there were so many ways to eat Peking Duck! 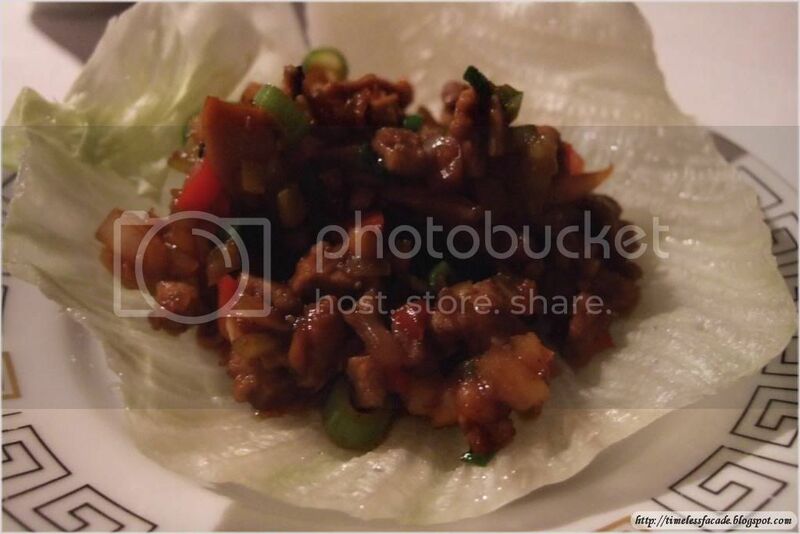 We were recommended the Spicy Minced Duck with Lettuce Wrap for the remainder of our duck and we duly complied. It was commendable, though not entirely fantastic. 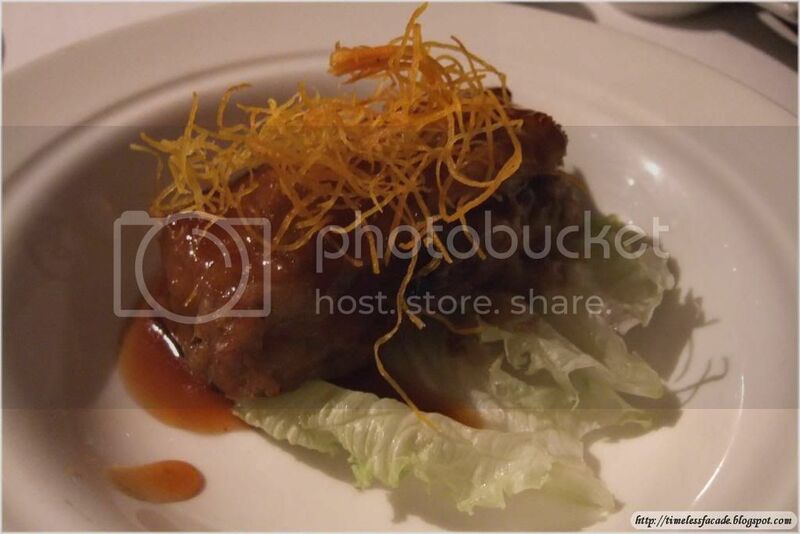 The whole dish tasted like Char Siew wrapped in lettuce, which I do like, but nothing out of the blue or mind blowing. The Spare Ribs in Lemon Grass Infused Honey Sauce was plain terrible. The lemon grass taste was way too strong and left me and my gf revolting at the taste of it. The Spare Ribs were also a little too tough for my liking. The Lobster Noodles which came shortly after was much better. The noodle was springy, but a little lacklustre as compared to the one I had at Li Bai. Although one whole lobster was given, it was pretty small in size. However, taste wise, it would be hard to beat. The lobster was very fresh and perfectly done. Not undercooked nor overcooked. I eagerly awaited the desserts to round up the whole meal. 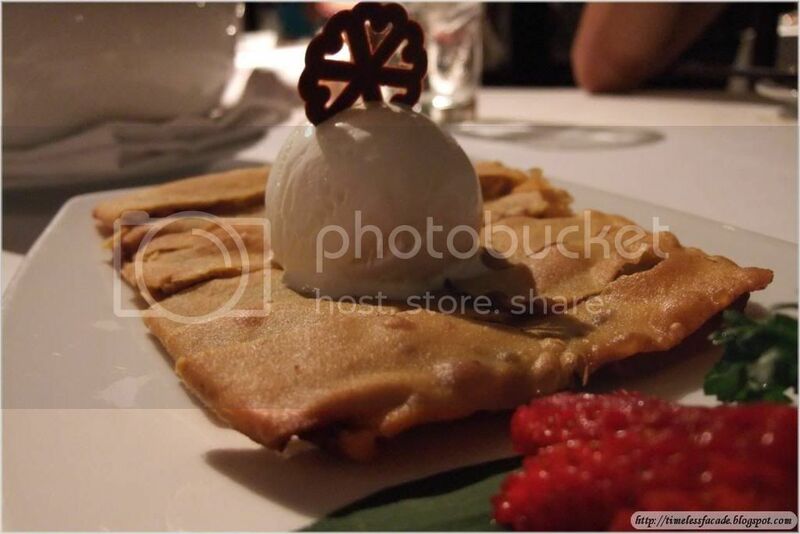 The Sichuan Pancake with Vanilla Ice Cream was pretty unique in the sense that unlike most restaurants, its pancake is wafer thin and doesn't have the secondary layer of smooth pastry. So its basically just the crust and the red bean filling in it. Some might like it, some might not. I personally like the ones with the secondary layer. 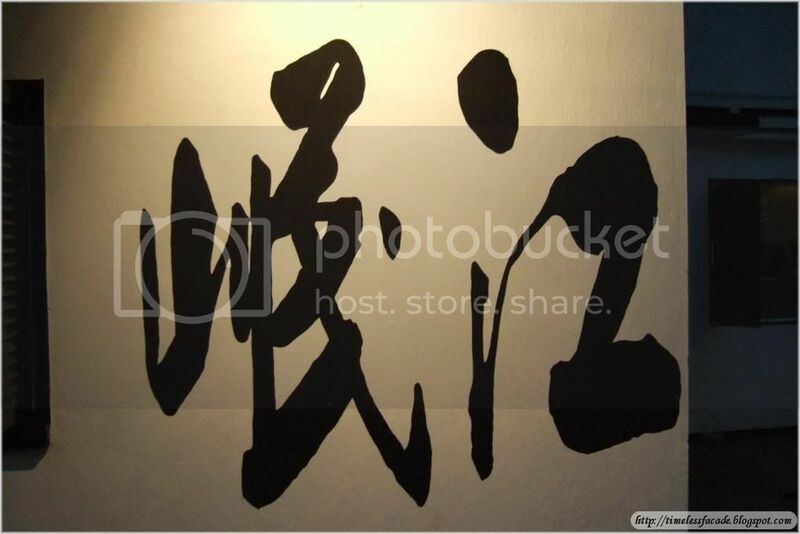 However, Min Jiang's rendition is quite good also. 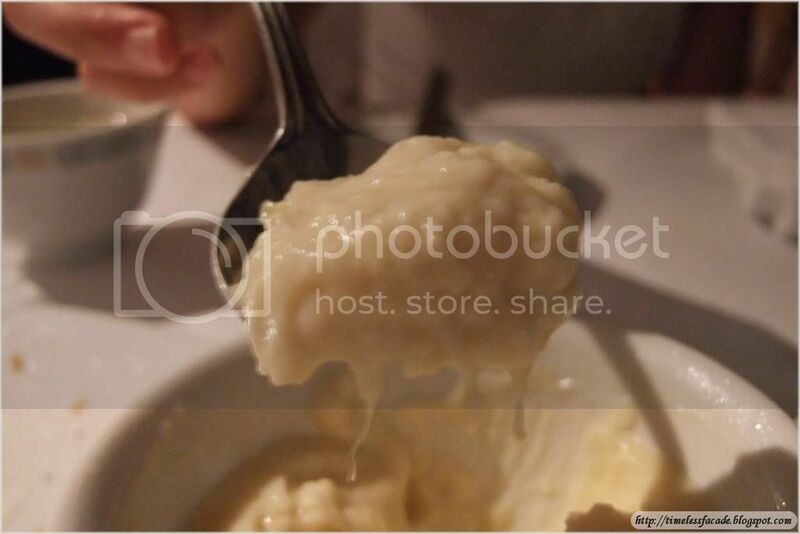 The Durian Pudding has always been a legend in Min Jiang and rightly so. 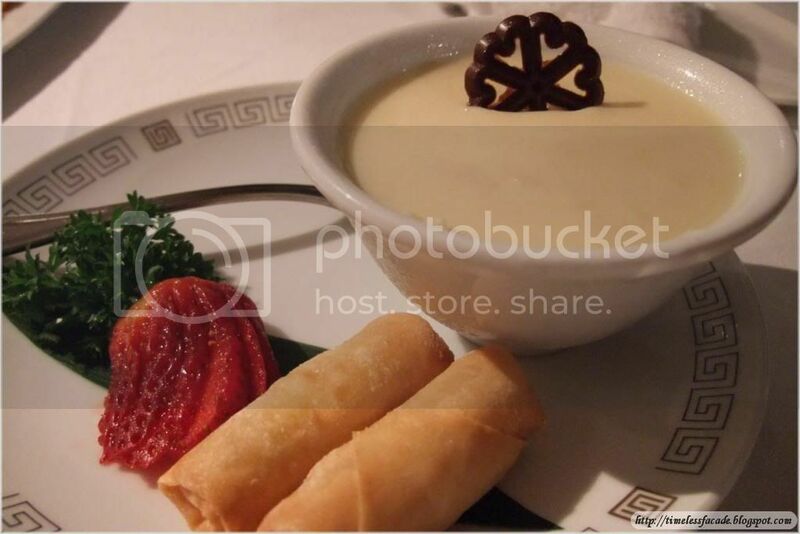 The pudding is pure smoothness and creamy with pulps of D24 durian. Once you start, you can't stop! I was crazy enough to want to order a few more bowls of it, but (un)fortunately, my gf kept me in check. The accompanying Mango Spring Roll tasted weird though. The mango was hot and sour, presumably because they chose to use unripe mangoes. 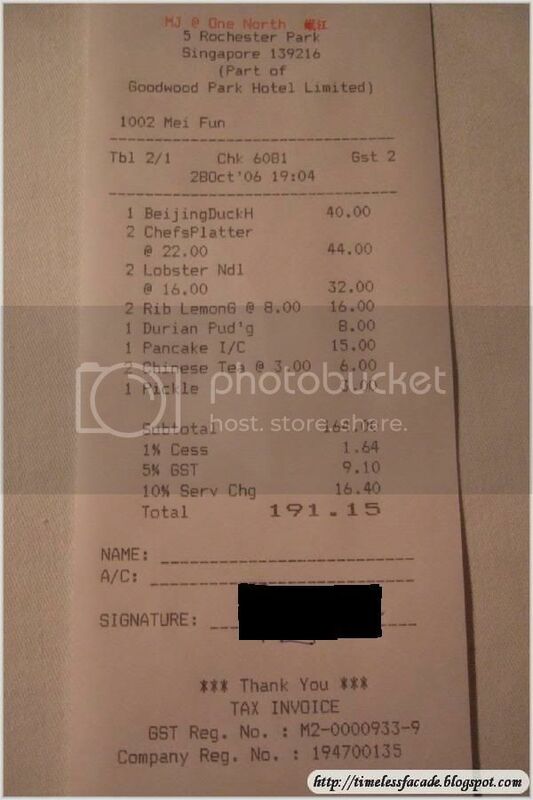 The very hearty meal for 2 pax cost about $191/- which is expensive. But food quality is evident and I'll put Min Jiang @ One North on the highly recommended list if you have spare cash to burn. Service generally was faultless except for a small blip where I had to ask the waiter to refill my ice water. 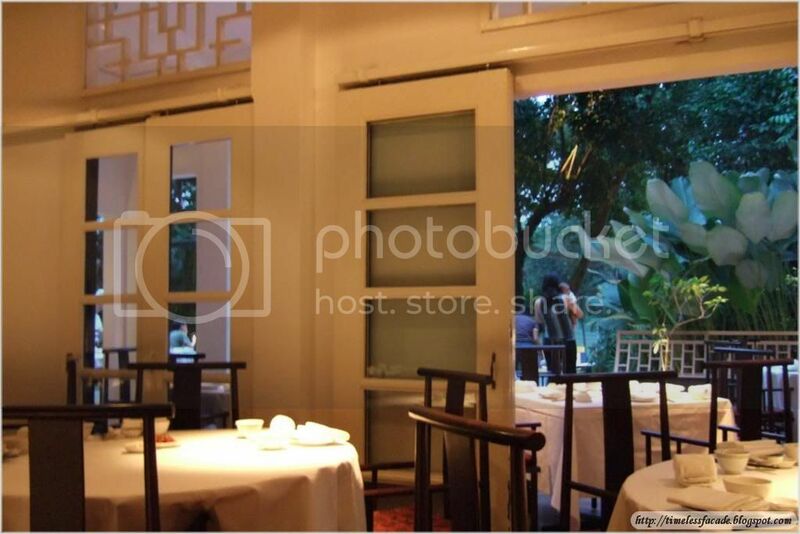 Ambience is also tops here which makes it a very ideal place to bring your date. Address: 5 Rochester Park. 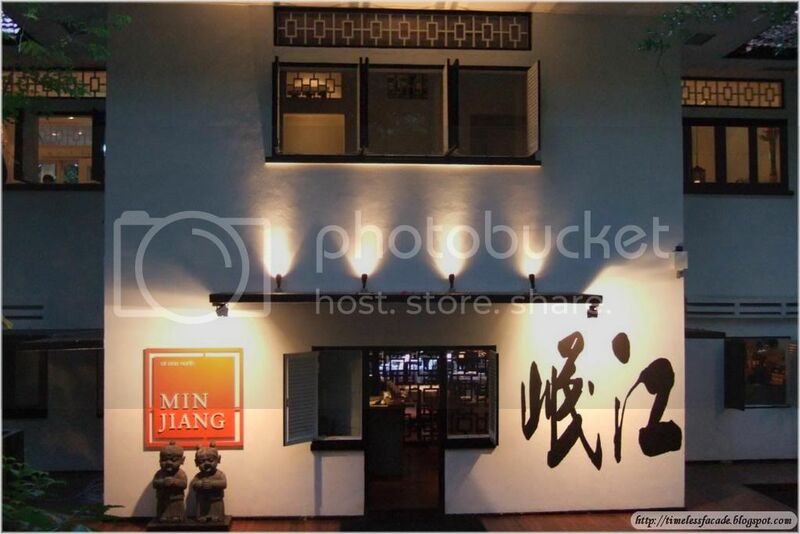 Valet parking available for Min Jiang guests @ $6/entry. Small ERP carpark available at the beginning of Rochester Park as well. Reservations highly recommended. ps: Sorry for the lengthy post, but a short post just wouldn't do this place justice. 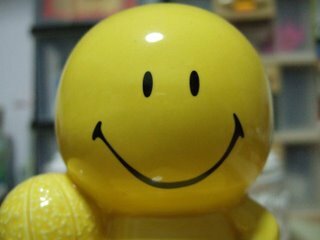 Nice pictures. So is it worth the price tag? Worth it if you ask me, with the exception of the spare ribs. But the lobster noodles seem a little pricy as well. 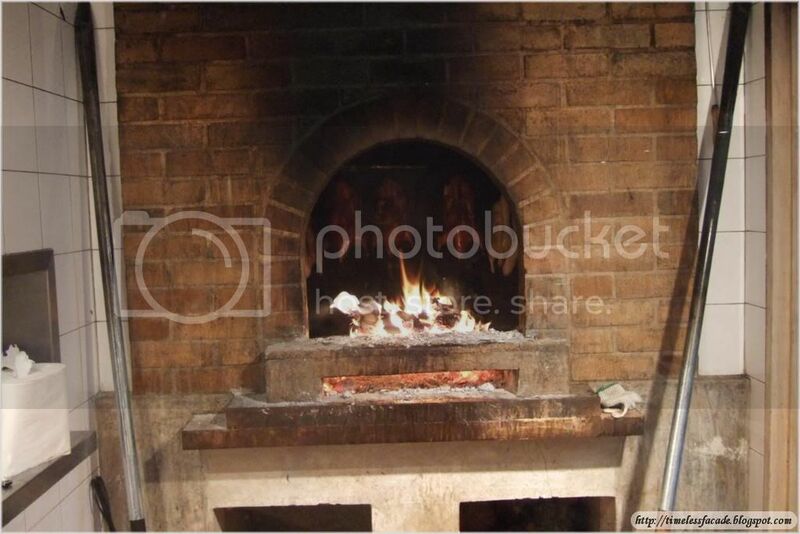 Your pics are awesome! MJ is awesome!